Last weekend I was quite busy with the 37th People's Chess Tournament in Fremont Marriott. 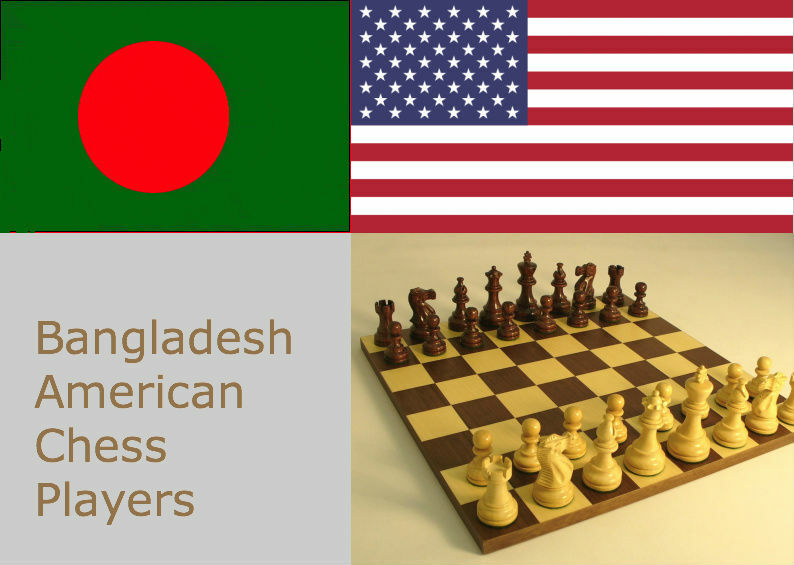 As it was a long weekend, I registered it online through www.bayareachess.com after renewing my US Chess Membership. After a successful World Cup Cricket 2011 opening ceremony in Dhaka where Bryan Adams, Shankar-Ehsan-Loy, Runa Laila, Sabina Yasmin et al perfomred in the midst of mind blowing fireworks, we gathered in Shahriar's house for the India vs Bangladesh opening match of the world cup in 19th February. He arranged lots of people and we had a nice time gossiping together (Ezaz, Amin, Dhanad, Sayeem, Wali Bhai, Sumit Bhai, Mamun Bhai, Dipu Bhai and some others). Although we lost due to a huge score from Sehwag (175) that took India's total to 370/4 in 50 overs, we gave it a fight by scoring 283/9 without being all out. That meant I didn't get much sleep for the next morning's chess game in the tournament at 11:30 AM. I won the first game nicely, drew a lost game against Kevin, got a win by forfeit in third round, won playing well in fourth game, drew a completely won game in fifth and finally lost a drawn Rook ending in the final (sixth) round. Despite this, I was in the prize list for my group (AB - 1700 to 1899) winning $66. I was jointly 6th-7th-8th for 4.0 out of 6 games. Look at the link below and check the AB section for my name in red in the prize list! I also gained 30 US Chess rating and my new rating now is 1797. I am planning to participate in short tournaments in future as well. This tournament was a 5 hour each game tournament for 6 rounds (move 30/90 + 60 each) spanning 3 days. My colleague Ganesh came twice during the tournament to watch my games and the final evening Amin, Shusmita, Ahyan and Suhaila came. Ahyan was very happy to see this vast gathering of chess players in Fremont Marriott (200+ participants in several groups). In case you are interested for my games, please check earlier posts in this blog for the game notations to replay yourself. It was interesting as he was the highest rated player in our AB group. After defeat in this game to me, he withdrew from the rest of the 2 games as he knew he won't be able to make it to the prize list. In the 3rd round, I got a win by forfeit as my opponent Bryan Ling (1584) could not attend due to illness. I looked for alternate opponents but the tournament directors couldn't find someone interested to play at 1700+ player! I made a very early and common mistake in the opening. However, I was able to hold the position till the very last move, where a one move mistake made the drawn game a lost one for me! So the tournament standing finally was Kevin and Arnold joint champion with 5 out of 6 while 3 other guys were 4.5 followed by 3 of us 4 points each. So I was jointly 6th to 8th and will get some prize money. Also with this tournament, I gained 30 US Chess rating and my rating now is 1797! I made a big blunder in the end game to make a completely winning game to a drawn one. Kevin, 10 years old only boy, finally went on to become joint champion in AB group. He was crying with tears after making 2 blunders against me in a completely winning position. Finally when I was winning after his blunders, he offered me a draw as he was not able to think clearly or sit down on the board... I accepted the draw offer. I believe it was a hard fought, complexly calculated long game for me where I went into severe time pressure but could hold the strings together till end. And hence the victory brought satisfaction! White resigned as he can't escape huge losses in e-file. I won the third round of the tournament against Randy Sepe. He is a Support Metrics Manager and sits in One California St. It was a Caro Kann Defence game and as I was writing my moves, Ganesh was also writing our moves. Randy made a dubious opening choice against which i was able to create pressure on him to limit the movement of this pieces substantially. It ended with an attack from which I came out a piece up. The rest of time he defended well, but I was too ahead by then to make any difference in the end result. 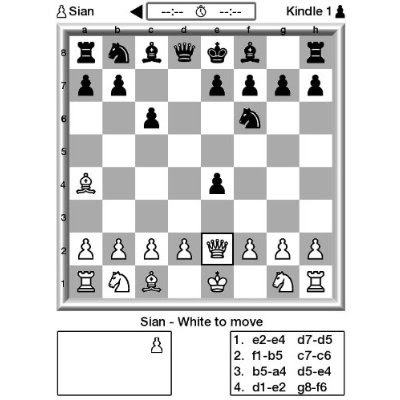 You can find another analysis of at online chess lessons dot net. This game is features as the second of Raymond Keene's Duels Of The Mind : The Twelve Best Games of Chess. This game features as the second of Raymond Keene's Duels Of The Mind : The Twelve Best Games of Chess.